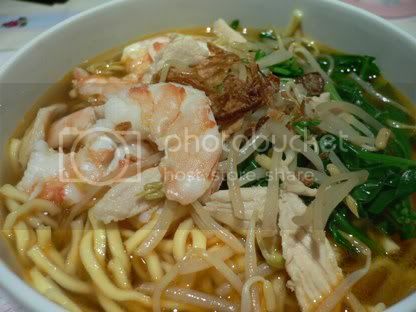 Prawn Noodle has always been on my "To Do List" and today, FINALLY, after much procrastinating, I did it! Hubby did not enjoy as much as I did 'cuz he's not a prawn person. But it's oke, once a while must cook something I like. Only that my soup's alittle bland, think I added too much water.